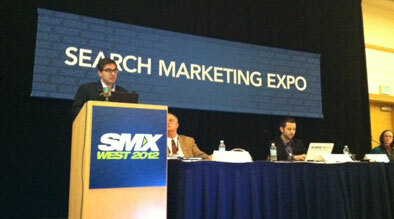 Experts at SMX West 2012 shared tips in the session, “Best Practices for Paid Search Testing – Case Study Panel” Learn the best methods to conduct a formal case study and how to apply the methods to create the optimal landing page. When conducting a case study for paid search there are some best practices and steps you should follow. Each agency’s testing cycle slightly differs but follows the same key steps. 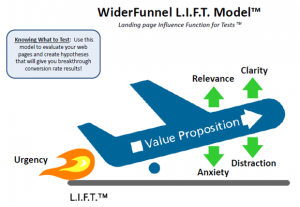 For the purpose of this article, we will take a closer look at the testing cycle of the company WiderFunnel when applied to testing the conversion success of landing pages. Chris Goward outlined the seven steps below that will help you complete a successful case study. What is driving or bringing down your value proposition? Analyze and focus on the elements that increase the relevance and clarity of the website. Is your call to action clear or is the eye-flow intuitive? Determine what distracts and makes the consumer anxious. Are you asking too many questions or providing too much irrelevant information? Lastly, are you providing urgency to the consumer such as a limited time offer? Step 2: Form Your Hypothesis. Using the findings from your L.I.F.T. analysis, form your hypothesis. What do you think will improve conversions? Step 3: Design Your Experiment Map. Lay out the groundwork for your test. How will you test? How many different versions will you test? How long will you test? Determine what you will measure. Identify external factors and how to best control them. Step 4: Create your new landing page with the features under the test. Step 7: Collect and analyze your results. Don’t just look at before and after results as there are too many factors that play into those results. Chris Goward from WiderFunnel did not include an 8th step, but I will. Once you have analyzed your results, if the results prove your hypothesis, you need to then implement it across the board. If the results disprove the hypothesis, start from step one again. Case studies should be a crucial element of all search marketers strategies as there is always room for improvement, but remember these key tips: make sure you have set up your test in a controlled environment and are able to measure the results. Also don’t forget there are plenty of tools to help you including the Google Website Optimizer for landing pages and Google’s A.C.E. tool for testing ad copy in Adwords. Finally, remember to always be testing.